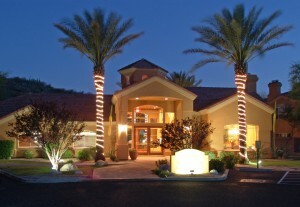 The Servoss Group just successfully closed another Tucson Condo short sale. Short Sales (pre-foreclosure sales) are complicated transactions so if you’re considering short selling your property you need to hire a team with extensive knowledge in facilitating these types of sales. One of the 1st steps in successfully short selling your Tucson Condo for sale is receiving an offer to present to your lien holder / holders. The Servoss Group’s condominium marketing programs and Tucson condo market knowledge provides us the ability to get you an offer on your Tucson Condo quicker than any other real estate company or agent in Tucson, we’re averaging less than 2 weeks on market for an accepted short sale offer. Once we receive an accepted contract on your property the file is turned over to our short sale negotiating team that has closed over 250 Tucson short sales, making us the Tucson Condo Short Sale Experts. If You’re Considering Short Selling Your Tucson Condo Contact Tucson’s Number #1 Selling Condo Team and Tucson Condo Short Sale Experts.